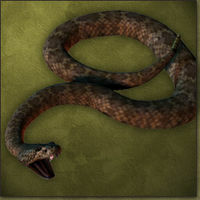 Giant Rattlesnakes can be found in many places in Aravorn. They are not very aggressive, but rather deadly when defending themselves. Their poisonous bite can rather deadly to the unsuspecting. This page was last modified on 21 March 2014, at 17:44.